I went looking to see which of the original online interviews with James Stinson are still available to read and thanks to fans and improved archiving I found they all are! In no order, the first is with Andrew Duke in December 1999, I’m not sure what website he was writing for originally but it’s currently hosted on his own website; second is by Tim Pratt for Detroit Free Times in September 2002; third was by Derek Beere for FutureBPM in June 2002 and finally John Osselaer for TechnoTourist in February 2002. If these links don't work, copy and paste the address it's trying to load into the WaybackMachine. Some print edition interviews with him can also be read online now too. Melody Maker’s 1995 interview has been transcribed and archived; a short interview from Muzik in 1995 can be read here, a 1995 Q&A from the Dutch zine, Surreal Sound, the Tim Barr interview for Muzik in 1997, The Richard Brophy interview for Clubbing Dot Com in 2002 can be read here, the 2000 and 2002 De:Bug interviews with James Stinson can be read here, the Drexciya sections of the 1999 Straight No Chaser article about UR can be read here and lastly Nick Phillips for Groovesmag in 2001 can as well. These were more or less the interviews I cut up into sections and collected as one of the very first posts on DRL, Drexciya Speaks. There was also a very short Q&A with Stinson in Energy Flash zine from 1996. Of course the most heard interview James Stinson did must be his appearance on Liz Copland's show on Detroit Radio in 2002. You can also hear the audio of Andrew Dukes' interview with him here. 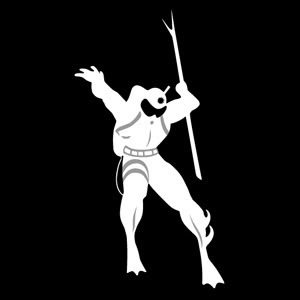 Most of these interviews have been compiled in the Drexciya Speaks post. It should go without saying that if you do have any other interviews I would appreciate the info. There may be another one by Tim Barr in 1994 out there somewhere, Dan Sicko in early 90s and one from 1999 by Richard Brophy for the online zine Etronik. Internet Archive was very useful in finding some of this stuff and it has also managed to save Stinson's own primitive Drexciya website from 2002, Ride Dimensional Waves, worth a look.